Russian nationalist groups plan to bring 20,000 people onto the streets of central Moscow to mark the Day of People’s Unity. After last weekend’s disorderly protests in the capital, many fear the mood of extremism could reach boiling point. ­Nationalist leaders applied to the city’s authorities for permission to march on Monday. Activists want to bring together thousands of people on one of the city’s main thoroughfares and march towards Moscow’s central squares. The action is timed to coincide with the Day of People’s Unity, celebrated in Russia on November 4. 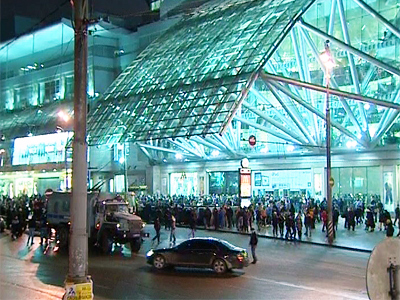 The march is to end with a concert and demonstration in central Moscow. 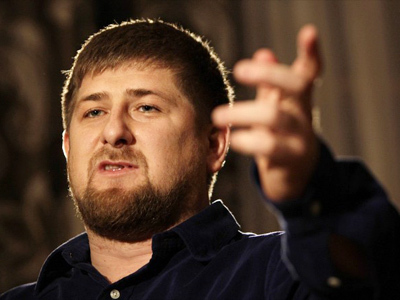 “We don’t want to march somewhere away from the central streets, where nobody will see or hear us,” said Aleksandr Belov, the leader of the “Russians” movement. If the city administration designates Shevchenko embankment [on the right bank of the Moscow River in the west of the capital] as the venue for the gathering, as they have done before, activists will defy the instruction and head downtown anyway, added Belov. 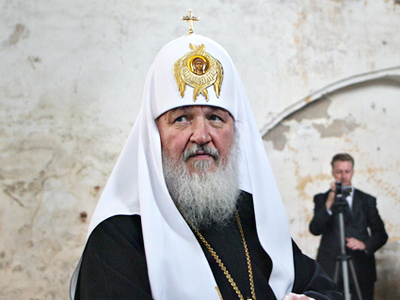 “The people of Russia have to know what nationalists think of the recent developments in the country’s politics ahead of the coming elections," the nationalist leader claimed. Two previous Russian Marches, in 2009 and 2010, were held, as authorized by the city’s mayor, on the outskirts of Moscow. Last Saturday, nationalists organized several actions in Moscow in what is being seen as a sign of a growing tendency towards extremism among young people. An anti-gay protest was held by nationalist groups on a central boulevard. It was directed against a minor gathering by gay rights campaigners. 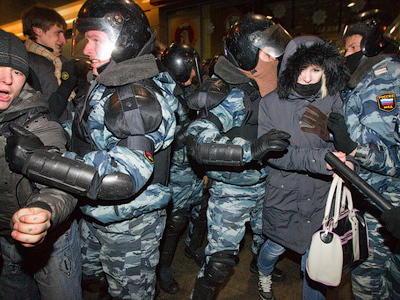 Dozens were detained by police after they began to throw tomatoes at the LGBT group. The “March of equality” was later able to continue. ­Meanwhile, a few hundred youngsters gathered for an authorized action on Shevchenko embankment. The march spontaneously moved closer to the city center. However, the police did not stop the activists. It was only when the young people approached the White House that police moved to disperse them and detained around 30 people. The marchers held banners stating “Moscow – a city for Russians” and “All for one and one for all” and shouted extremist slogans against immigrants from the North Caucasus and Central Asia. Among other claims, the nationalists demanded a visa regime with the North Caucasian republics and fair trials for crimes with a nationalist dimension. ­The Day of People’s Unity, which came into being in 2005, cannot be described as a widely celebrated holiday. 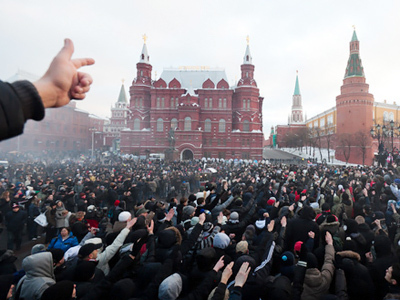 However it has become the day of choice for nationalist protests and marches in Russia. Opposition and right-wing radicals gather for a range of protest actions on the day, usually with the blessing of the city administration. However, not all the protests have been peaceful – some have ended in violent clashes with police and mass brawls with Caucasian and Asian immigrants on the streets. 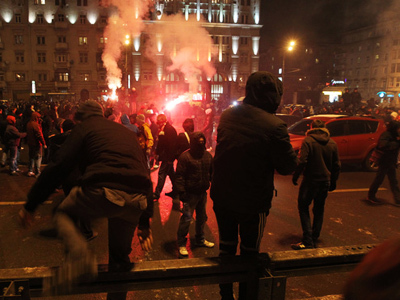 Nationalists reacted violently to the killing of a football fan in December 2010. Around 5,000 football fans and nationalist activists gathered in Moscow and St. Petersburg to protest at what they believed to be an unduly lenient trial of the Caucasian-born young men suspected of killing the football supporter. 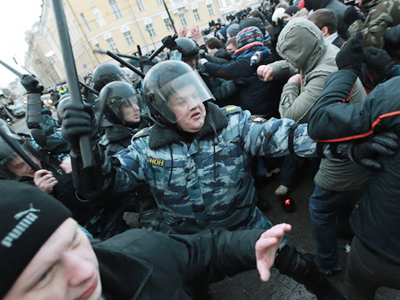 What began as a peaceful rally of demonstrators on Moscow's Kronshtadsky Boulevard quickly turned violent as angry mobs broke away and moved towards the Kremlin’s Manezh square. This led to brutal clashes with riot police which finally managed to disperse the mobs. Dozens of immigrants were hospitalized after falling victim to attacks by nationalists. 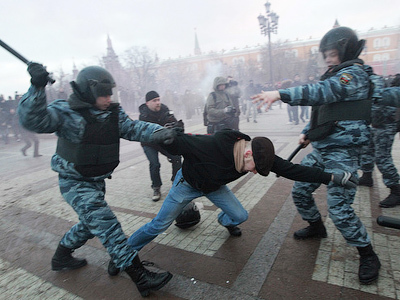 The clashes on Manezh square had a lasting affect on the growth of the extremist tendency in the country, which appears to have returned to boiling point.